It’s been a while Rob ,I’ve had a less than great day and these uber camp Nazis cheered me right up !! That’s Addi Glunz. 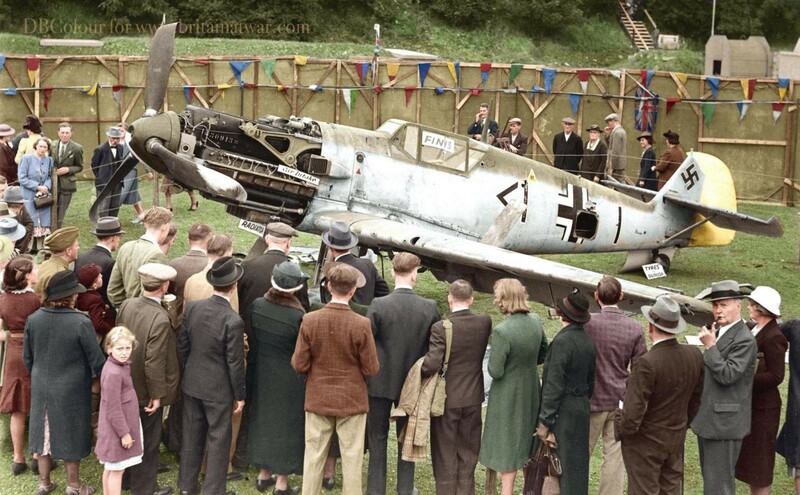 Was last wartime commander of II/JG 26, rose from Oberfeldwebel to Oberleutnant. 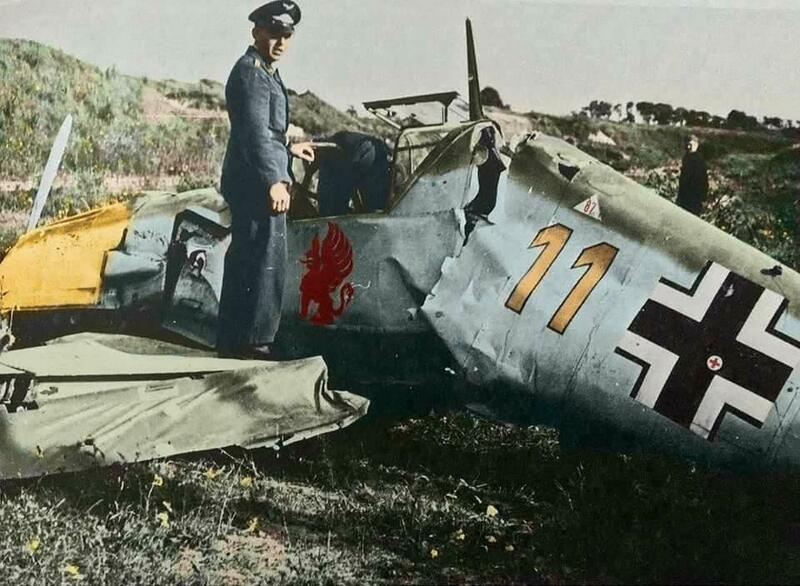 All 83 victories on the Western Front 1942-45, the only German experte who was never shot down. Also a very nice guy to meet. He should be, he keeps his ride in the air. 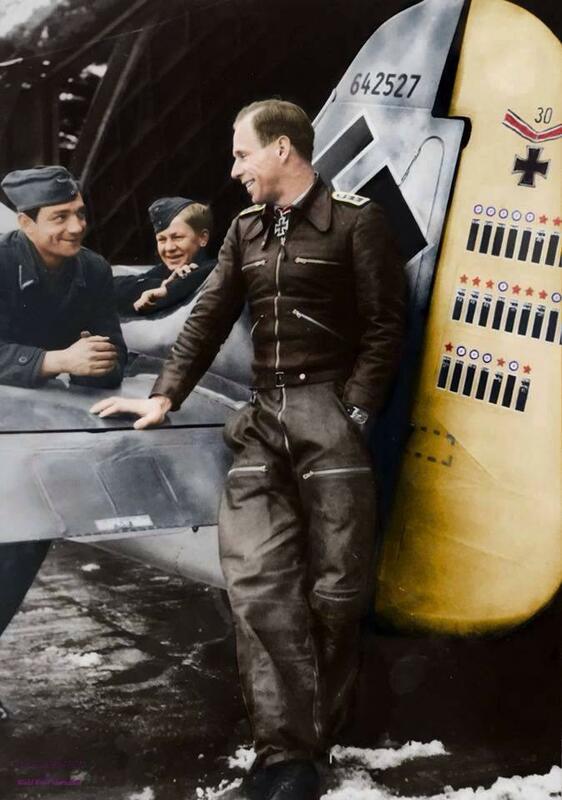 Adolf “Addy” Glunz, though it’s the first time I see this photo in colour. Let’s be honest Rob, Tom usually knows!